Laima Grazdanovica has graduated from theater and cinema art theory studies in Latvian Academy of Culture, has worked for several years at RadioNABA radio show about cinema "Older than 60 minutes", is a programmer and curator at the Riga International Short Film Festival 2ANNAS, including being actively involved in international cinema, photography and theater projects, with special focus on the interdisciplinarity of documentary art. 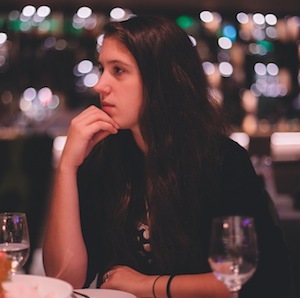 Recently Laima worked at NISI MASA - European Network of Young Cinema as a project assistant for European Short Pitch 2018. Neli DOBREVA is PhD in Aesthetics from the University of Paris 1 “Panthéon – Sorbonne”. Her dissertation title is: Aesthetic and Political Challenges of the Images of September 11: Narrativization and Kitschification of the Events. In 2015 she was qualified at the level of Assistant professor of Philosophy and Aesthetics from the French National University Council. 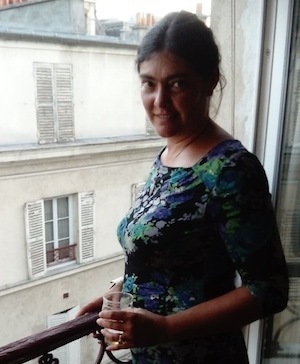 Since 2013, Neli DOBREVA is affiliated to the Fondation Maison des Sciences de l’Homme in Paris, France, and its Research Team of Cognitive Semiotics and New Media – Audiovisual Research Archives (Equipe Sémiotique Cognitive et Nouveaux Médias - Archives Audiovisuelles de la Recherche (ESCoM-AAR)) where she is in charge of the production of digital contents pertaining to scientific and cultural patrimony, the communication and valorization of the research, and research in digital humanities. 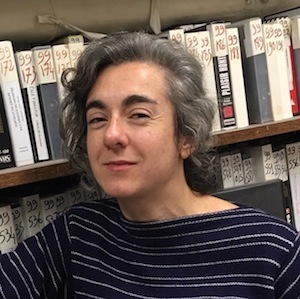 Since 2006, she is Lecturer of Philosophy of art/ Aesthetics, at the University of Paris 1 “Pantheon – Sorbonne” where she is actually affiliated Researcher. Neli was Research fellow at the National Museum of American History – Smithsonian Institution, Washington DC, USA in 2009. She has published more then twelve articles in her research field of art and aesthetics, focusing on the role of the images, their Philosophical, Political and Aesthetic challenges, and the discourses surrounding the events of September 11th, 2001, in the United States. In 2011 Neli Dobreva was a Fellow at the NYU/ CNRS: Transitions UMI (Unité Mixte Internationale 3199) Memory & Memorialization program in New York, USA.